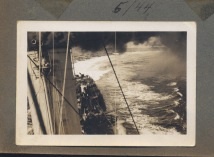 Today, on the seventieth anniversary of the invasion at Normandy, I’m thinking of my father who served as a radarman on the United States Destroyer, Jouett. 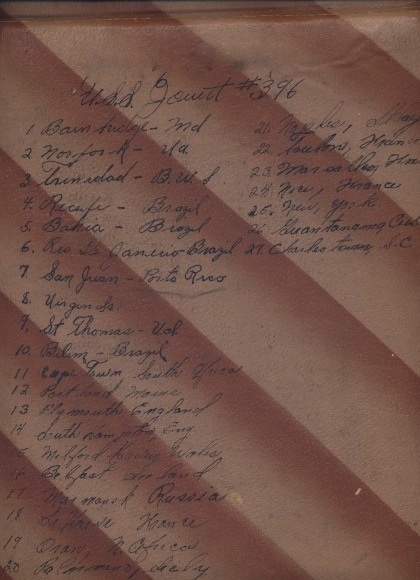 A timeline on the back of Dad’s Navy scrapbook lists his stay in Brazil where he and his shipmates patrolled the Atlantic coast. 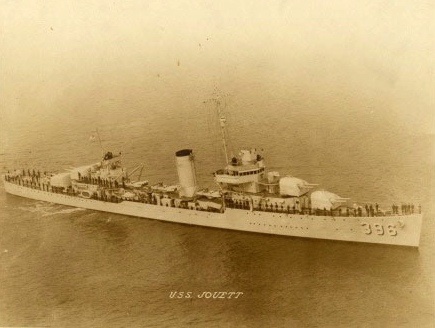 After escorting a convoy to Murmansk, Russia, the USS Jouett sailed to the shores of France to participate in the Allied invasion. Later that summer, his ship joined others at Toulon in the south. So long ago, and yet, just the other day. I regret I didn’t ask more questions or do a better job of listening to stories when I had the opportunity. This entry was posted in France and tagged france, Jouett, Normandy, WWII. Bookmark the permalink. Lovely to see your father’s notes.